Mary Lou was born on March 28, 1926 in Balfour, North Carolina to the late William and Mary Alma Freeman. She is preceded in death by her beloved husband, James Monroe Sims, Sr.; three sisters, Gladys Freeman, Blanche Smith, and Martha Harvell; one brother, Billy Freeman; and two granddaughters Jennifer Anderson Cavitt and Mary Rose. Mary Lou is survived by three children, Laura Anderson (Andy), James Monroe Sims (Teresa), and Amelia Rose (John); five grandchildren, Nikki Chambers (Chris), Jamie Sims, Matthew Rose (Kristen), Bethany Brush (James), and Ian Rose (Rebecca); grandson-in-law, Adam Cavitt; and ten great-grandchildren. Mary Lou retired from J. P. Stevens (Dunean) after 30 years of service. 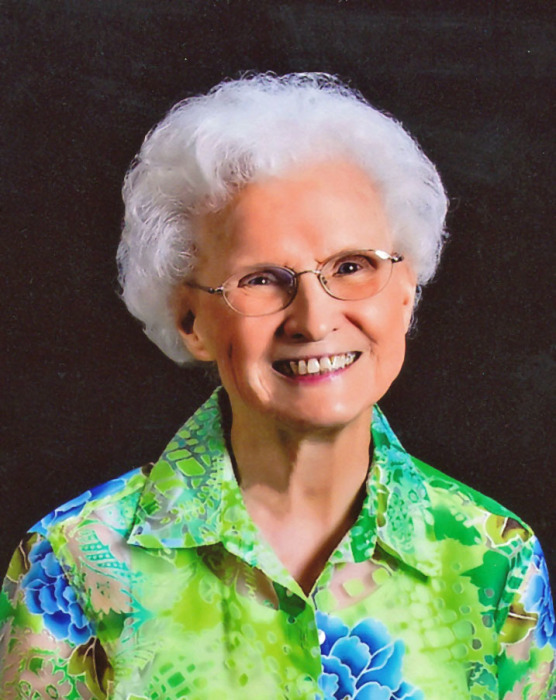 She loved her church and was a faithful member of Tremont Church of God since 1932, where she sang in the choir, served with the Shut-In Ministry, was a member of the Golden Gems, taught Sunday School for 57 years, and was selected as the Church of God Teacher of the Year in 2009. A visitation will be held Saturday, August 11, 2018 from 5:00 p.m. until 7:00 p.m. at Thomas McAfee Funeral Home, Downtown. A funeral service will be held Sunday, August 12, 2018 at 2:00 p.m. at Tremont Church of God. Burial will be held in Graceland Cemetery, West. In lieu of flowers, memorials may be made to Shut-In Ministry of Tremont Church of God 2854 New Easley Hwy., Greenville, SC 29611, or Monroe and Mary Lou Sims Scholarship Fund at Lee University, 1120 N. Ocoee St., Cleveland, TN 37311.